So I custom quilted this beauty for Kelly Jacobsz. It’s a more masculine quilt, so no feathers and frills for this one. 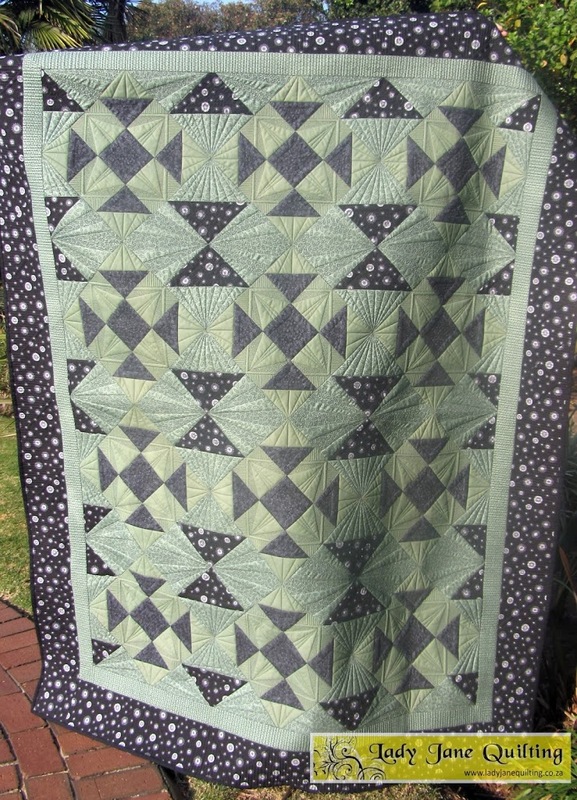 Free motion quilted, no stitch regulator and no robotics. I have just used a straight edge ruler and free motion fills. 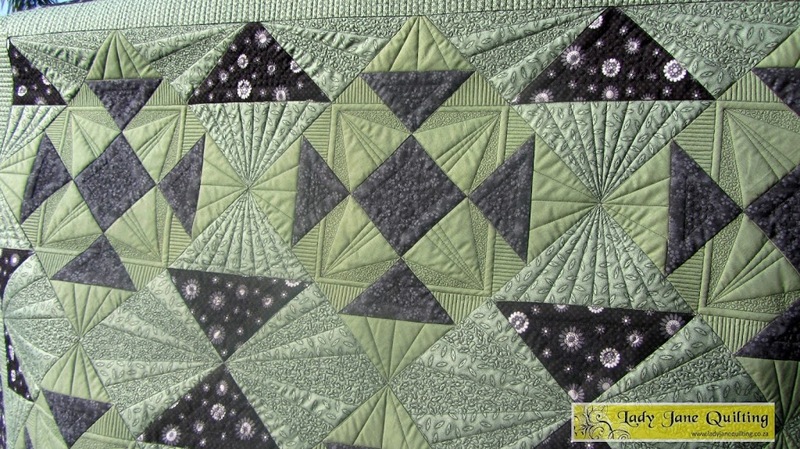 Right, I’m busy Trudie’s quilt…Quilting Time!